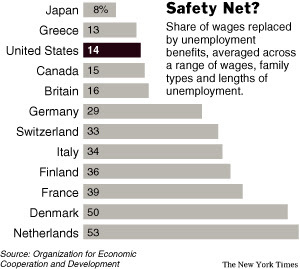 As I was doing some background research for a textbook update, I stumbled upon a NY Times article from a few months back comparing U.S. and European labor policies. The above graph from the article is striking. How much progressivity is optimal? "one of the smartest people in the world"